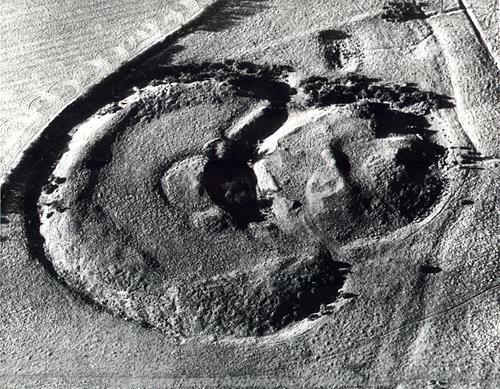 Horsford Castle is a substantial stone motte and bailey fortress, with an earthwork barbican. The very low motte and large bailey are surrounded by deep ditches, which are wet in places and the grass covered foundations of a stone keep can still be traced on top of the motte. Horsford Castle is located east of Horsford, a public footpath north off Church Street gives access. 5 miles north of Norwich on the A140.